Looking at Jessica Campbell’s artwork makes you want to be friends with the person who created it. Humor and a meticulous, joyful aesthetic are the defining characteristics of her sprawling practice. 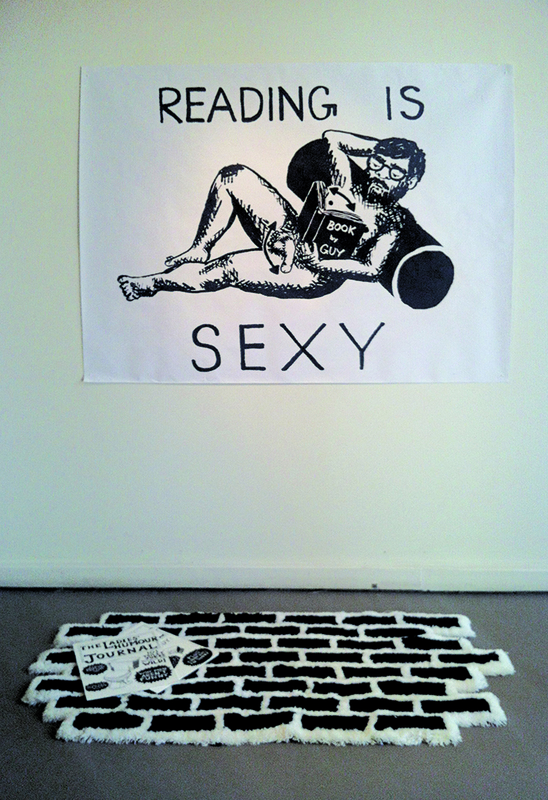 The recent SAIC MFA grad makes zines, drawings, paintings, rugs, jokes and performances all while running Kavi Gupta’s bookstore and aspiring to be Jack Handey. Her blog is a black hole of hilarity in the form of original illustrations, links and general observations about life in what Campbell calls “Canada’s pants” (America). Campbell denotes the prevalence of comedy in visual art as endemic to both Chicago and her native Canada. She writes, “I wonder if some of the interest in comedy might come from a second-city complex—Chicago has this, of course, but I feel like Canada kind of has it, too, as a country. Like, Montreal has a rivalry with New York that only Montreal knows about, and maybe there is some humor, a self-deprecating humor, in always being worried about stacking up against bigger and richer places.” She sites a lineage of local mentors including Phil Hanson and José Lerma while also noting the influence of fellow Canadians Shary Boyle, Adrian Norvid and Daniel Barrow; she describes her work as “fitting into [this] established Canadian drawing ecosystem.” Canadians, like Chicagoans, Campbell tells me, love collaboration, thus her involvement with several local groups including Brain Frame (RIP) and the comics collective Trubble Club. Previous Post Eye Exam: If the Lions Aren’t Cowardly, Who Is?